A rendering of the first new residence hall to be built, located on 560 Lincoln Street. The new project is part of a long-term housing master plan by Residential Services to improve on-campus housing. Northwestern funded an $11.5 million revamp of on-campus housing this summer, ahead of the construction of five new residence halls as part of the University’s 10-year Housing Master Plan. Many students moved in to heavily refurbished buildings this year, as Residential Services financed improvements to several on-campus residences. North and South Mid-Quads opened to students from the Public Affairs Residential College and Shepard Residential College with a complete makeover of mechanical, plumbing and air conditioning facilities. PARC, Shepard and Goodrich House will reopen in their original spaces next fall. Many other buildings also reopened their doors this year, featuring new carpeting and furniture, including Foster-Walker Complex, Jones Residential College and East and West Fairchild. Jones’ Great Room has also added a retractable bleacher seating system. Jack Heider, president of the Residential Housing Association, said the renovations were a dramatic improvement. The first new building to debut as part of the Housing Master Plan will be a residence hall on 560 Lincoln Street that will serve as a makeshift “hotel” for other residence halls that are slated for either renovation or demolition, said Paul Riel, executive director of Residential Services. Set to open its doors September 2017, the 422-bed residence hall will be a suite-style building open to students of any year. Residents throughout the seven floors will be able to peer through the building’s tall glass walls overlooking North Beach. The new home will be located next to Kemper Hall, on the old Peanut Row. Floors will be gender neutral with suites containing either single or double rooms as well as bathrooms, Riel said. No public bathrooms will be built in the hallways; only private bathrooms will exist within suites. Students will also have laundry available on each floor, and the service is planned to remain free. Aligning with the Housing Master Plan’s drive to foster bonding experiences, the new building will contain many community spaces. Each floor will have a lounge, individual study spaces, small breakout rooms and large meeting rooms, Riel said. The first floor will have a large multi-purpose room, which can seat more than 200 people. Riel said the building will also have an elevator and that Residential Services plans to continue providing free printing. The “hotel” residence hall will first take in 1835 Hinman and Jones students in 2017-2018 as the two residence halls undergo renovation. East and West Fairchild will be next in 2018-2019, followed by Foster-Walker from 2019-2020. 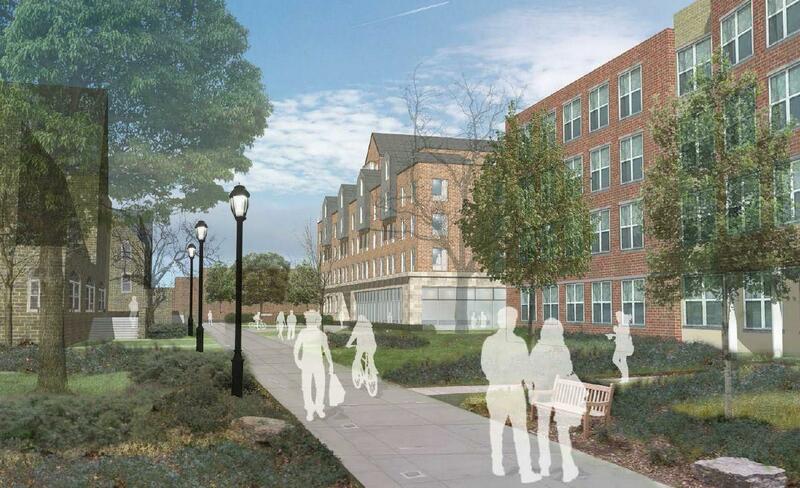 South Campus will also have a new residence hall built, although the building is still in the design stage. The residence hall’s location is yet to be determined, but Riel said about 560 beds will be set for the new building. By the end, five new residence halls will be constructed. Dining will likewise be affected. In 2017, when Hinman will be offline with renovations, the dining hall will also close, Riel said. The same will happen with Foster-Walker’s dining hall in 2019. Bobb-McCulloch, which is slated to be demolished in 2020, will be rebuilt with a new dining hall. The dining hall in Sargent Hall will also shut down when that building is demolished in 2023. The overall plan will be completed 2025-2026. By then, the sophomore live-in requirement will be fully instated.